Remember a couple weeks ago when I showed you that baby hat I made? I picked up the yarn while I was on the road and at Strings Attached Yarns in Dayton, OH. 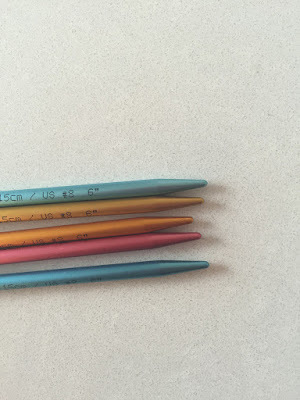 I didn't have the right size needles for the yarn with me, so I picked some up - the addi Flipstix. 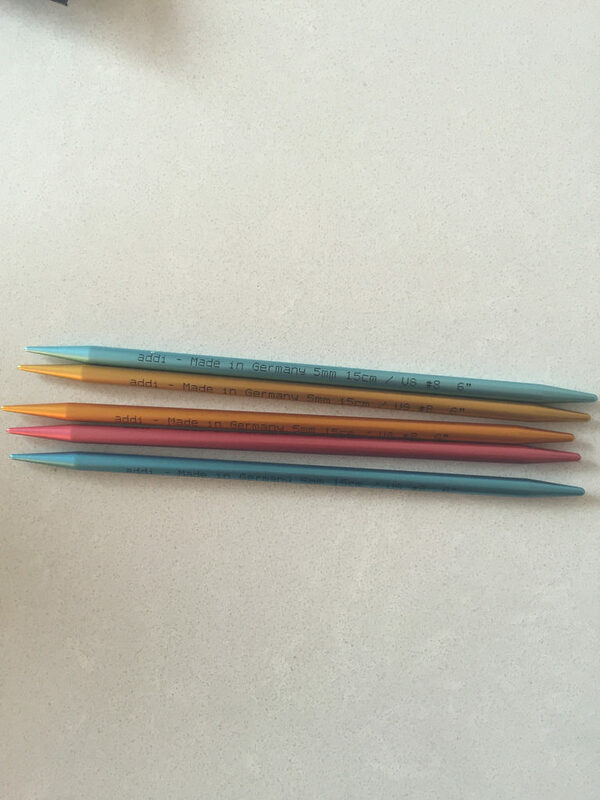 Kristen has a lot of other needles at her shop, but I bought these because I was intrigued. I had many questions - What are they? Would I like them? Will I use them again? 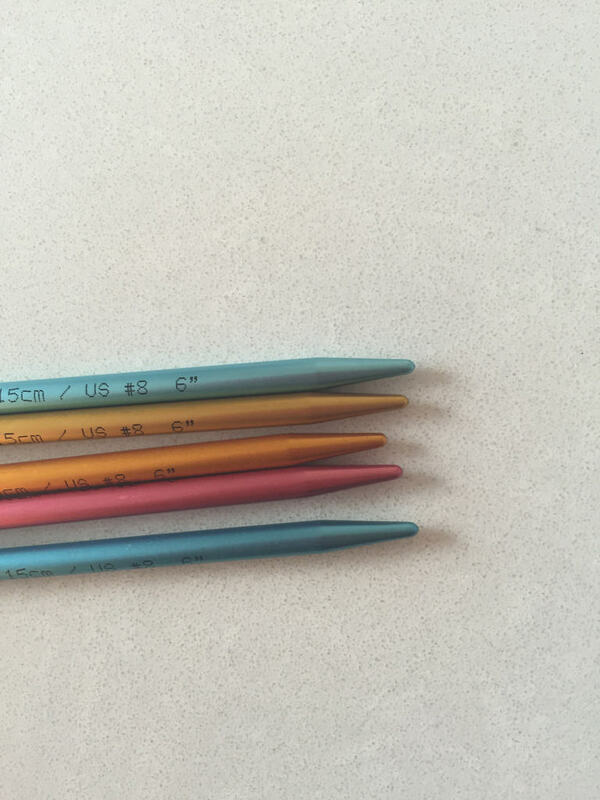 The Flipstix are 6-inch double-pointed needles. What makes them different is one side is more pointy than the other. One side is the "Turbo" tip and the other is the "Lace" tip. It took me a little bit to get the hang of knitting with them, as the whole point (ha...get it?) is to make sure that you are using the side of the needle of your choice. Even though I was working on a basic ribbed and Stockinette hat, I used the "lace" side of the dpns. I like my needles pointy. After I trained myself to make sure I was using the lace side of the needle, things went quickly. I finished that hat in just a couple hours. While I did like them, and they were definitely fun to try, I'm not so sure I'd buy more of them. 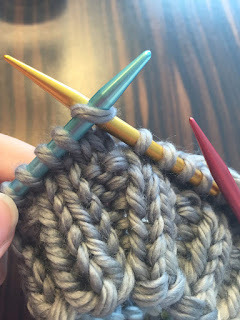 It's nice being able to have one set of needles that can be used in two ways. 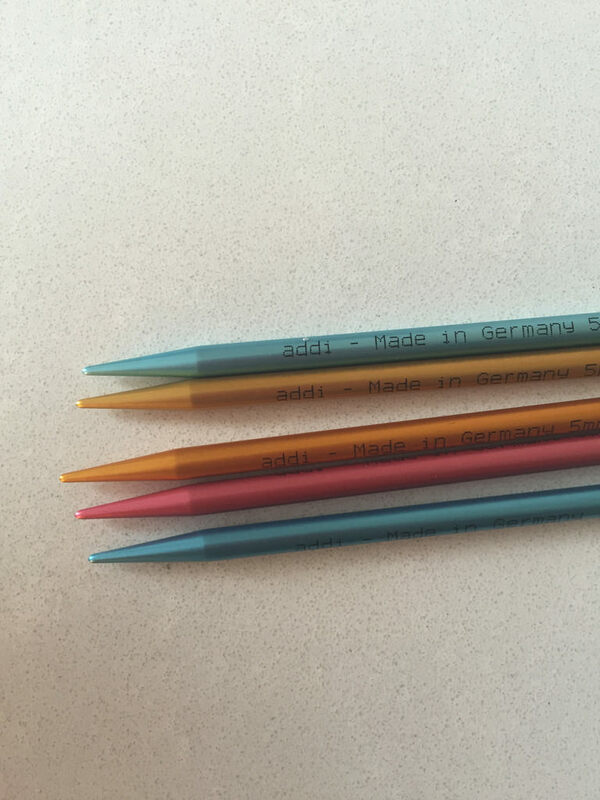 If you're on a budget and want addi double-pointed needles, this is a great option for you. Honestly, I'd probably just buy two different sets of addi dpns so I wouldn't have to worry about making sure I had the needle flipped the "right" way. 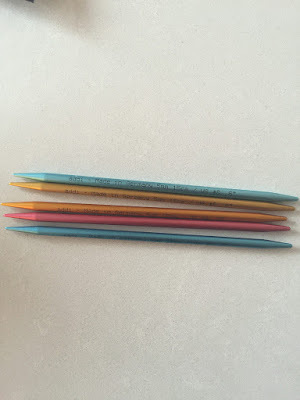 And, as a knitter who tends to keep her double-pointed needles extremely unorganized, the fact that they are all different colors is going to make it difficult to find the entire set when I go to use them again. Perhaps you're more organized with your needles, and that won't be an issue for you though. 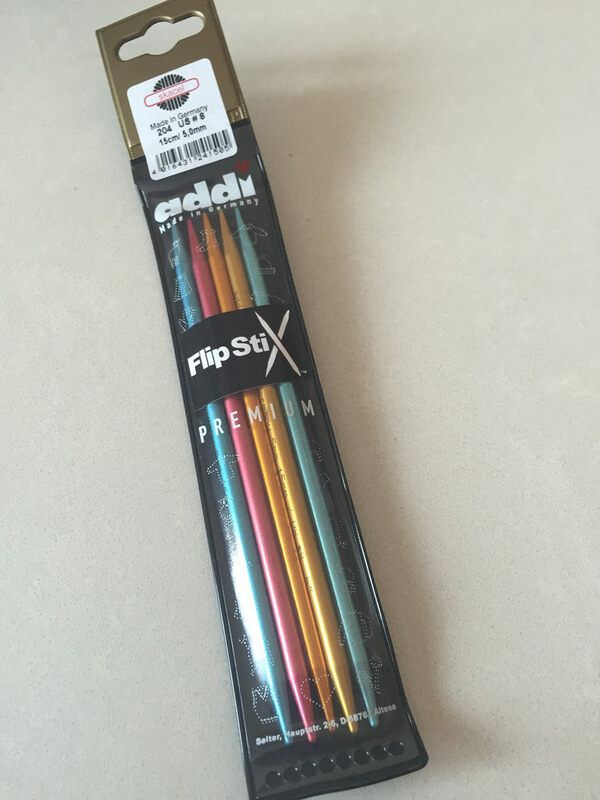 Have you tried the Flipstix? If you have, I'd love to know what you think!